Upgrade the comfort, style, and value of your home or business by shopping at one of the most trusted carpet stores in Middletown, DE. We display a full selection of carpet flooring suitable for any interior style you’re going for. Our knowledgeable sales and design staff are always here to help guide you to the perfect flooring style to suit your needs. When you’re trying to create a comfortable, stylish, and value-adding space in your home or business, carpet flooring is the ideal flooring choice. 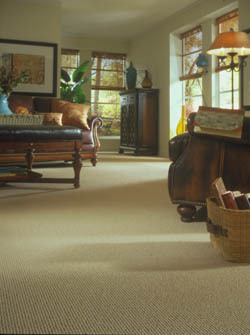 From Berber carpet to waterproof styles, we carry carpeting in every style, texture, or quality you need. Stop by today to view our varied carpeting styles from popular brand names like Tigressa, Resista, and Downs. Do you prefer to use neutral flooring colors and patterns that enable you to create any interior design style you desire or would you prefer your flooring to be a focal point or complementary part of the décor? No matter what your interior design philosophy is, we carry a full array of carpeting choices to suit any style. From solid, neutral colors to vivid colors and patterns, you’re able to find any type of carpet you need at our flooring showroom. Carpet flooring is one of the most popular flooring materials available due to its easy maintenance needs, extreme comfort, and versatile array of colors and patterns. Carpeting is especially suited to homes with children, pets, or frequent guests. To keep your new carpets looking great, maintain them with regular vacuuming and be sure to clean up any spills or dirt promptly using a wet towel and carpet-safe cleaning solution. With proper maintenance and care of your carpeting, you shouldn’t have to worry about extensive cleaning tasks like grout-scrubbing or resurfacing. When you’re looking for a low-maintenance and comfortable flooring material, carpeting is an ideal option. Once you’ve chosen your stylish new flooring, be sure to schedule carpet installation with our skilled and dedicated professionals. We make sure to remove your old flooring material properly, prepare the subfloor, and install your comfortable new carpeting so that it looks and functions great for many long years. When you leave the installation to us, you don’t need to worry about unevenly stretched material, carpeting that wears thin prematurely, or flooring that pulls away from the walls. Contact us to schedule carpet installation with a skilled professional. We’re proud to serve clients in Middletown, DE, as well as the surrounding areas.